It has been a long time since I’ve attended a classic shopping mall sports card show. There has been a steady stream of them around, but none really worth going to. On the Thursday night news during the sports segment, I overheard them state that there would be a show at the Harrisburg Mall February 17-19. In addition to that, they also mentioned some Pittsburgh Steelers were scheduled to sign autographs. This definitely sounded like a show worth checking out. The Harrisburg Sports Card Show is put on by show promoter Carl Hisiro. 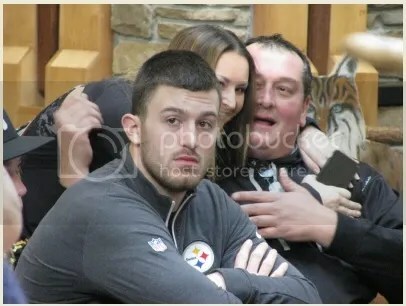 Autograph guests for the weekend included three Steelers – Jesse James, Stephon Tuitt, and Sean Davis. 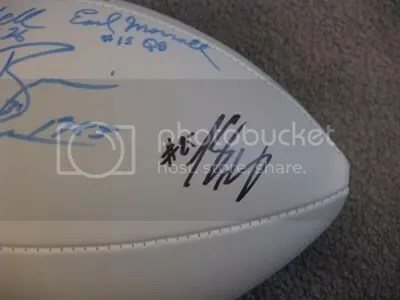 Former Eagles wide receiver Vince Papale was also on the list to sign. 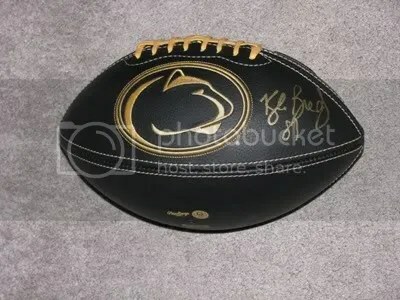 I decided to take my black/gold Penn State football and get Jesse James to autograph it. I think it turned out really well. By the looks of it, I bet they sold at least (200) tickets just for Jesse James. That number might be low. 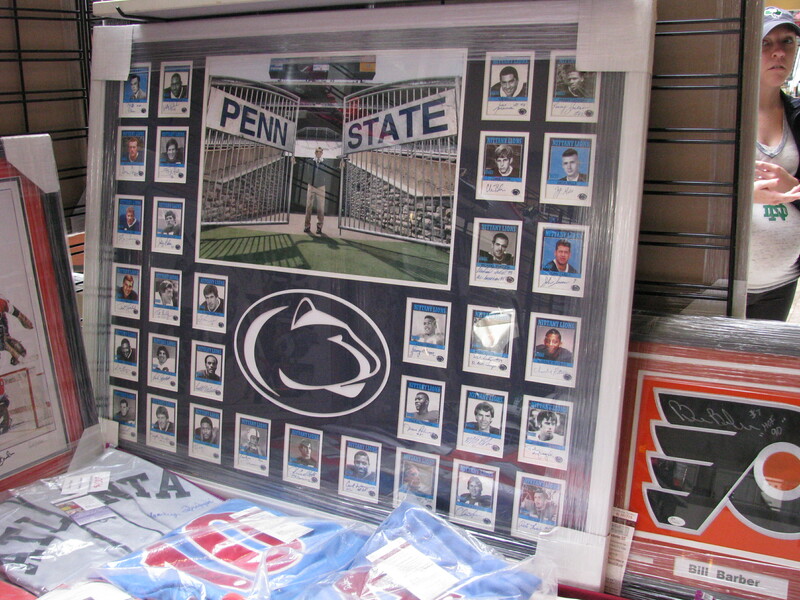 It makes perfect sense for a lot of collectors to want him given that he is a Steeler and went to Penn State. The line moved fairly quickly as they called by ticket number. I was #114. While I was there, everything seemed to be running very smoothly. It didn’t take long to get a ticket, they had merchandise you could buy to get signed, and Jesse James arrived right on time. As for the card show portion, I’d say there were (20-25) dealers. I didn’t see that many selling new sealed hobby boxes. One dealer had a truckload of retail boxes though. A good mix of vintage and new single cards could be seen. 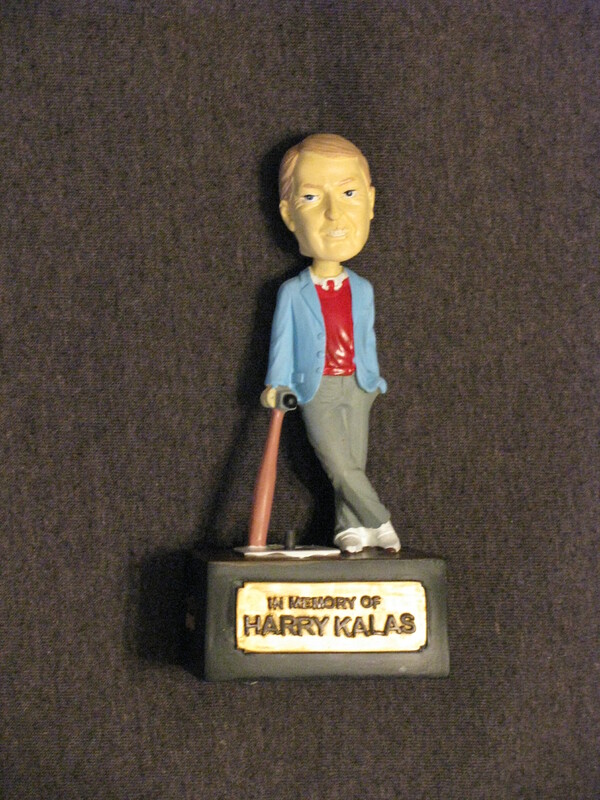 One dealer had a few Harry Kalas bobbleheads, but I already owned them. 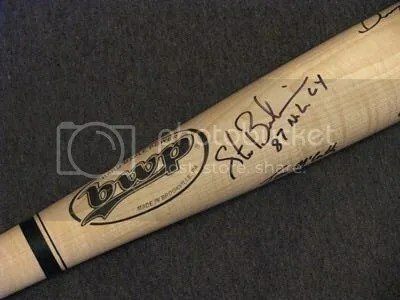 The one card I did inquire about was a Mike Schmidt 2001 Topps Archives Rookie Reprint Bat Relic. There was no visible price on it, but the card was in a case with other cards listed for $10-$20. After asking the dealer how much it cost, I found out there was a $50 price written on the back. The lowest they would go was $40. Well overpriced. Overall it was a decent show. 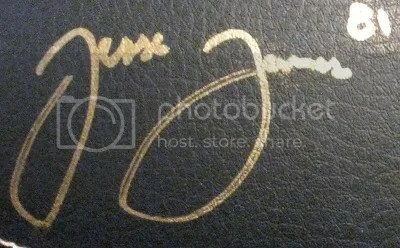 The autograph guests are what caught my attention. This takes me back to when I first started collecting, and met Scott Rolen at a mall show in 1996-97. Phillies & Steelers Card Show Day! Today I attended the 34th annual Ephrata Lions Club Sports Card & Memorabilia Show. 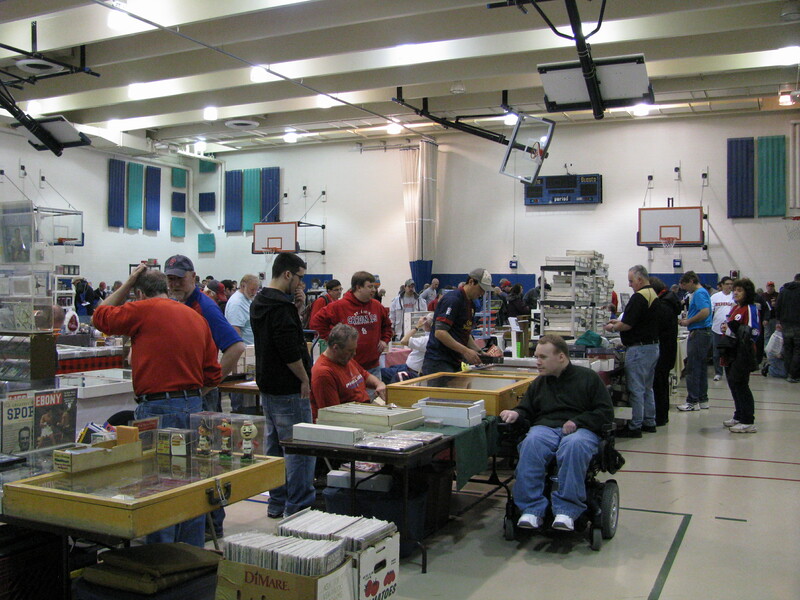 The show takes place at the Ephrata Rec Center which is in Ephrata, PA. I’ve been attending this show ever since my early days of collecting. How long ago is that? Well lets just say that when I first started going I would buy older packs (1987 Topps) and hope to pull a valuable card. Overproduction was not a word in my vocabulary at the time. 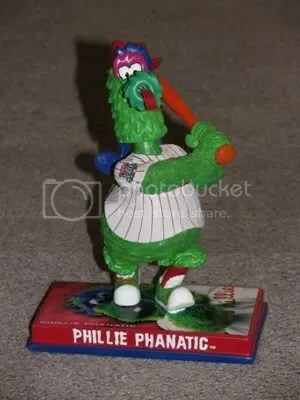 The main reason why I go is because they usually have a lot of Phillies stuff. 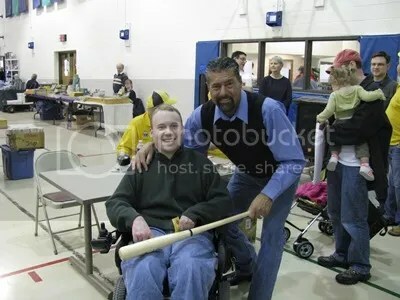 In addition to that, the Lions Club brings in a good Phillies player from the past to sign autographs. Former Phillies pitcher Steve Bedrosian was signing autographs for fans. Bedrosian won the N.L. Cy Young Award in 1987 and got a World Series win with the Twins in 1991. I’ve been wanting to pick one of these Harry Kalas talking bobbleheads up for awhile. Upon pushing the button, you can hear Harry call the last out of the 2008 World Series. 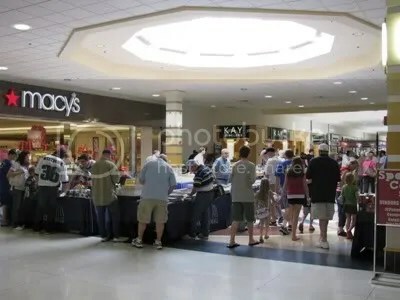 At the same time the Lions Club Sports Card & Memorabilia Show was going on, over at the Harrisburg Mall the Big 33 was holding their own show. Since we pass the mall on the way home, it couldn’t hurt to stop in. 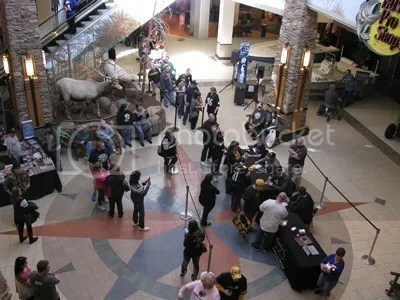 When we arrived people were lined up all the way down the entire length of the mall. 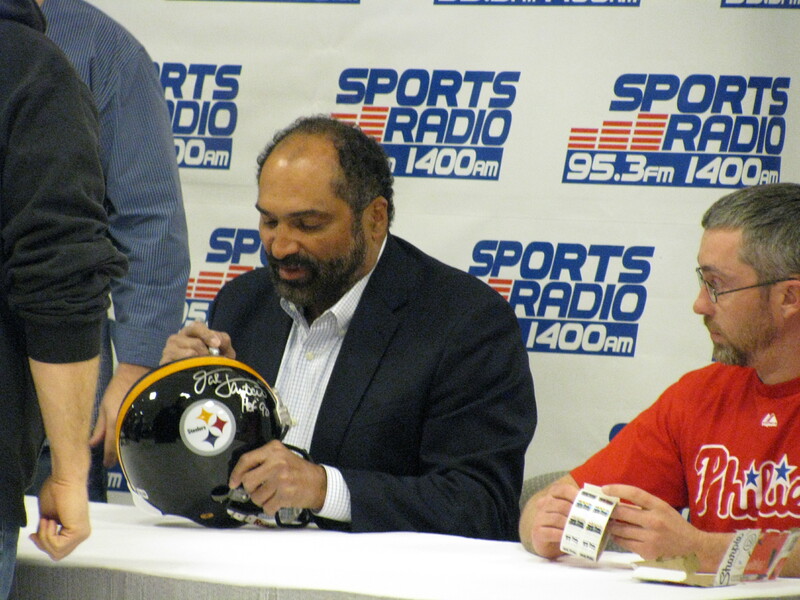 Everyone was waiting for Franco Harris. 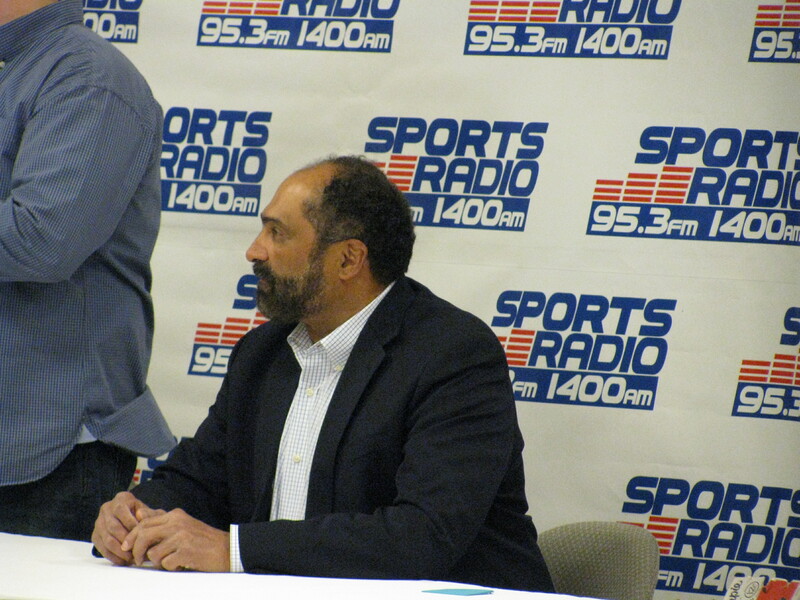 About five minutes of waiting, Franco Harris came walking by, said “Hello”, and went to work. There were many other players from the Steelers, Penn State, and Notre Dame scheduled to sign this weekend. 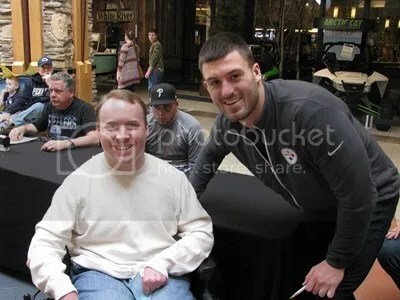 On Saturday March 3, 2012 Giants fullback Henry Hynoski will be holding an autograph signing at the Susquehanna Valley Mall from 12:00pm – 2:00pm. No word yet on what the costs will be. Hynoski graduated from Southern Columbia, went on to play with the Pittsburgh Panthers, and recently won Super Bowl XLVI with the New York Giants. The cost is free!!!!!!!!!!!!!!!!!!!!!!!!!!!!!!!!!!!!!!!!!!!!!!!!!!!!!!!!!!!!!!!!!!!!!!!!!!!!!!!!!!!!!!! Free autographs!!!!!!!!!!!!!!!!!!!!!!!!!!!! 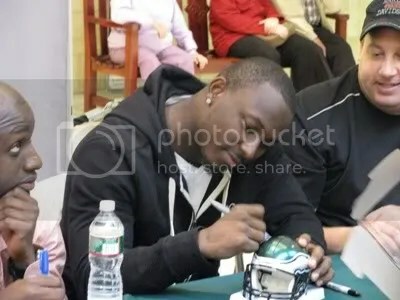 Philadelphia Eagles running back LeSean McCoy was at the Susquehanna Valley Mall this afternoon from 2:30pm until 4:00pm signing autographs for fans. 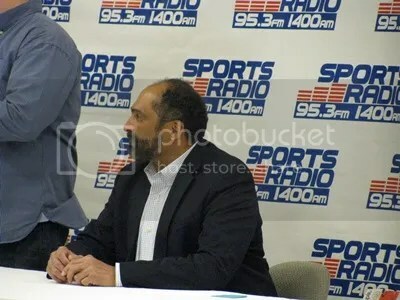 The signing was put on by C.C. Collectibles. The signing had a very nice turnout. Lots of fans came out to see him. Near the center of the mall they had a small card show too. I was looking for a box of 2011 Leaf Metal Draft Baseball but didn’t see any. Instead I picked-up a couple of 2011 Topps Marquee Baseball packs I will be busting a little later. Collectors traveling through Central Pennsylvania this weekend might want to stop at the Susquehanna Valley Mall this Saturday – 10/22/11. 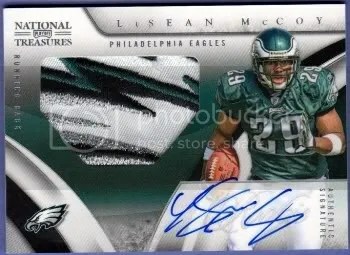 From 2:30pm to 4:00pm, Philadelphia Eagles running back LeSean McCoy will be signing autographs. 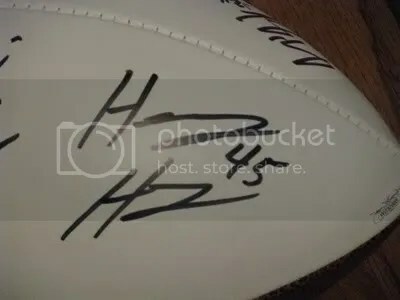 Click here to learn how you can obtain your autograph ticket. Any item is $30.00. If you purchase your ticket online, you can show them the PayPal receipt once you arrive. You could also purchase a ticket at the show too. They shipped me my ticket since I bought it so early. I’m actually ticket #001. Looks like I’m first! See you there. The Capital City Mall located in Harrisburg held a sports card & memorabilia show promoted by CAC-Shows today. 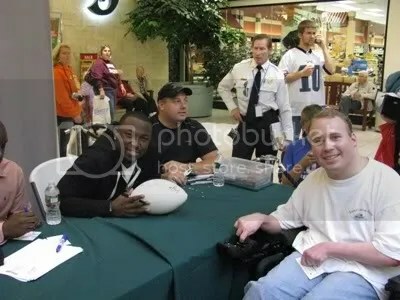 When I was there Kyle Brady and LeSean McCoy were signing autographs. 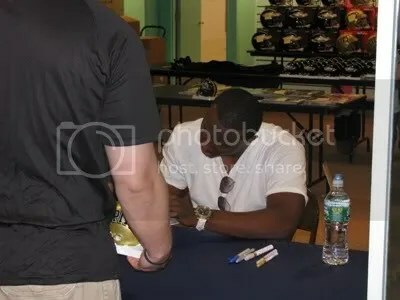 Later in the day Ryan Clark and Tyrone Carter of the Steelers showed up to sign autographs too. I busted a few packs and picked up some stuff for my collection. Take a look! 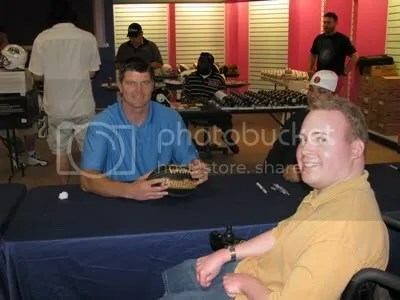 They had a ton on items to purchase if you needed something to get signed. 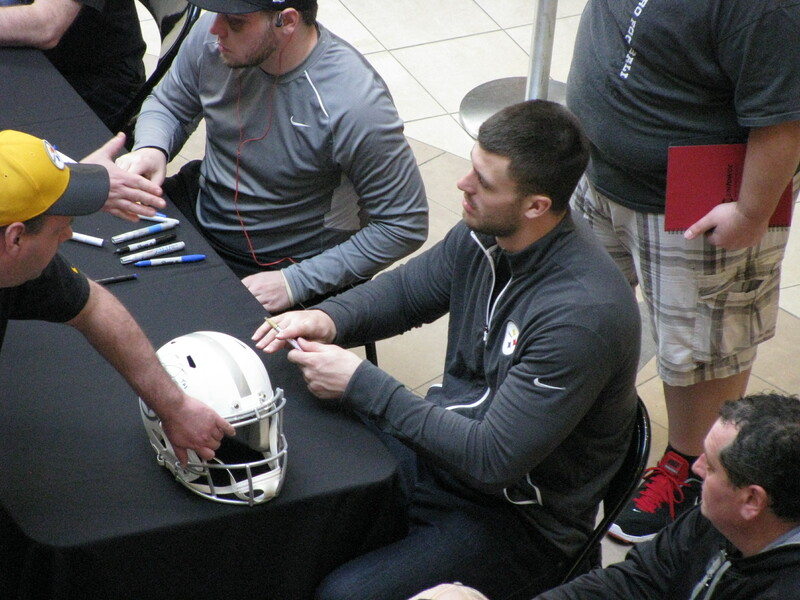 Kyle Brady signing my new Rawlings Black/Gold Penn State football. It doesn’t get more authentic than this. This is the first time I’ve gotten something signed in gold. I think it turned out nice. The main center of the show. I’m glad to see it so packed. I had to pick one of these up for my collection. I give this show a total of 4 hot dogs out of 5 (1=poor 5=perfect). There were more dealers than what I thought there would be. It had a great combination of vintage and modern cards which appeals to different collectors. There was only one dealer really selling wax, and they had a great selection. He only had two tins left of 2007 UD Sweet Spot Classic and I snatched them up quick. CAC-Shows handles the autograph signings very well. 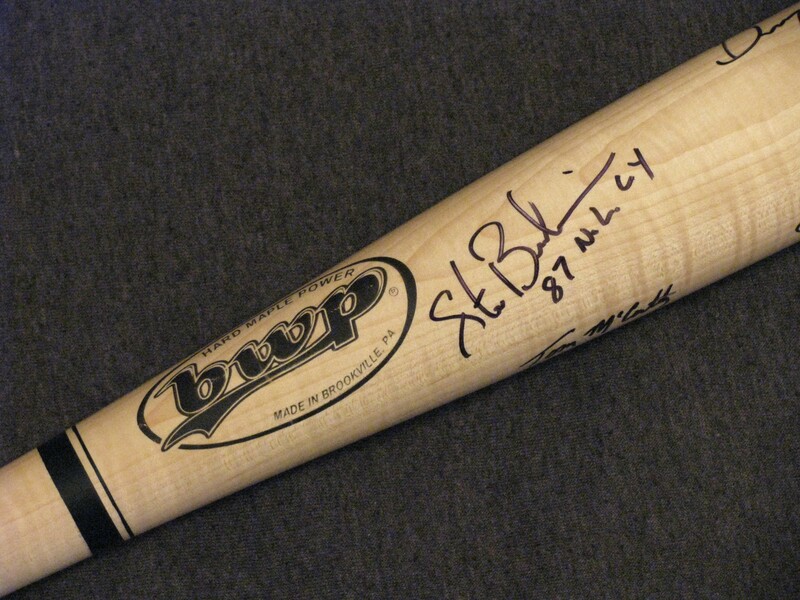 If you don’t have anything to get signed, they provide a wide array of items to get autographed. They also have an informative setup showing autograph seekers where to go for each athlete.